FriendFinder was founded somewhere in 1996. Because no further information is known, we only delineate the outer bodies and planets. Though we know that, some 5 years after the foundation of Friendfinder.com somewhere in 1996, there was appointed a new president of the company in September 2001, we think that Neptunue in the corporation chart must be posited at about 24-25° Capricorn. Only then, progressive Neptune will be posited around 0° Aquarius in 2001 in an exact aspect to Pluto, indicating a leaving (Neptune) in the management (Pluto). 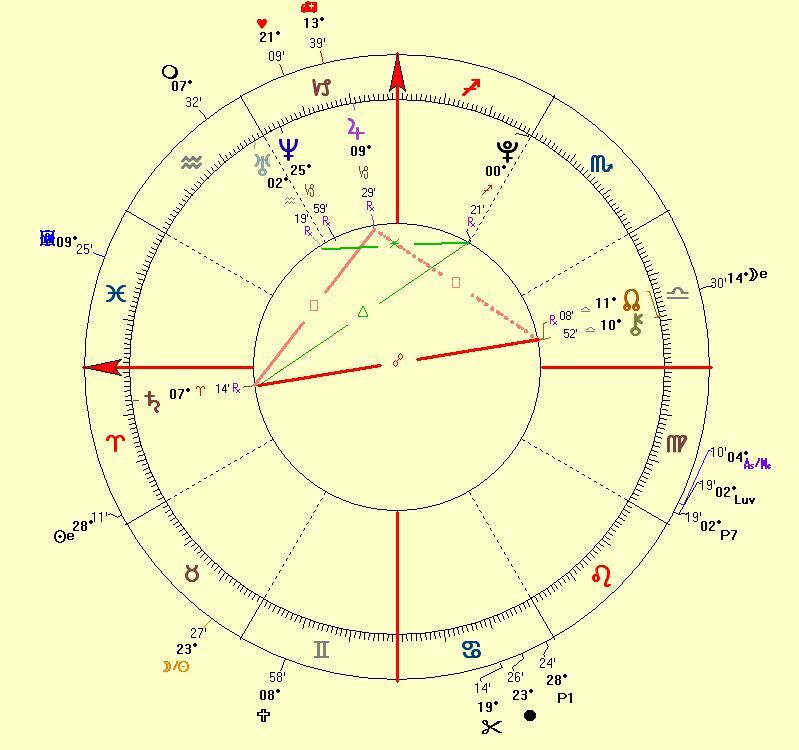 Due to the fact that there is no exact date of foundation available and the outer planets give no specific information, we cannot interpret the corporation chart further and we will now look for some future trends, based on the transiting outer planets. The most striking aspect in 2004 is the position of transiting Uranus square to Pluto in the corporation chart. This may indicate upheaval in the management, a new management and/or a new goal-setting. Transiting Pluto will aspect Neptune by a semi-sextile around 2005-2006. IF Friendfinder fusions or merges with another company in these years, we may assume that Neptune in the corporation chart is posited at 24° Capricorn because the 24th degree in any cardinal sign (Aries, Cancer, Libra and Capricorn) signifies a fusion in compliance with a cost-benefit analysis.